In 2011, a sparsely populated Central-East Asian nation rose to international prominence as the fastest growing economy in the world, with a monumental 17% growth rate in GDP. Yet, in as little as three years, growth in Mongolia has come crashing down to 5.3% amidst growing economic uncertainty and increasing inequality. What was behind this tremendous growth, and does Mongolia have what it takes to be an important contributor to the global economy while balancing the needs of its citizens? Mongolia, a land-locked nation the size of Germany, France, and Spain combined, is the least densely populated country in the world, with a population of approximately 2.9 million. For much of its history, Mongolia was composed of loosely organized tribes practicing pastoral nomadism across its vast steppe landscape, with the herding of animals such as camels, goats, horses, sheep, and yak providing the main source of economic subsistence. From 1924 to 1990, Mongolia was a satellite state of the Soviet Union. Following the collapse of the USSR, the country experienced a crippling recession exacerbated by extreme winters for nearly a decade. However, in the early 2000s, representatives from foreign mining corporations were astonished to discover what lay beneath Mongolia’s unforgiving landscape. Expert miners estimated that there was up to 1 trillion USD worth of untapped mineral resources across the country – including vast deposits of copper, gold, coal, uranium, and rare earth elements. Foreign investments to tap into this rich mineral wealth from multinational mining firms soon followed, with the mining industry eventually accounting for 30% of Mongolia’s GDP in 2011. Some people may argue that even a 5.3% growth rate in GDP is significant in comparison to the growth in the United States and EU, yet this type of growth is vitally important for low-income nations such as Mongolia. In particular, growth in developing nations should be inclusive, which the World Bank defines as being broad-based across (economic) sectors, and inclusive of the large part of the country’s labor force. Mongolia, with its current focus on mineral extraction to produce economic growth, is suffering from a condition known as Dutch Disease, i.e. overdependence on the development and sale of natural resources, which has hindered its efforts to promote inclusive growth and dampened its ability to resolve issues like severe poverty and inequality. According to data collected by the Oxford Business Group in 2012, although mining was responsible for about a third of GDP, the industry only employed 5% of the Mongolian workforce. In stark contrast, the traditional pastoral herding sector produced less than 15% of GDP but involved about 40% of the workforce. Mongolia’s development potential from mining still remains enormous in spite of Dutch Disease, with particular emphasis being placed on two massive projects in the Gobi Desert: the Oyu Tolgoi (OT) copper/gold deposit, and Tavan Tolgoi (TT), a high-grade coal formation. The OT mine, owned mostly by the Anglo-Australian firm Rio Tinto, is expected to reach full capacity by 2018 with copper ore output potentially composing 3% of total world output, and revenue from the mine expected to represent as much as 34% of Mongolian GDP by then. Additionally, the TT mine is believed to contain the world’s largest undeveloped high-grade coal deposit, and only in the past year has the Mongolian government awarded a contract for the development of the mine. At the same time as this recent mining boom, resource nationalism has begun to rear its head in Mongolia. Resource nationalism is the desire of a government and its populace to gain greater control over natural resources in their country, and Mongolia’s populist politicians have wholeheartedly embraced it as an ideology. During the 2012 parliamentary elections, 25% of seats were won by politicians who railed against foreign mine ownership, and the government also named a prominent resource nationalist, Davaajav Ganhuyag, as the minister of mining. A major conflict arose in late 2012 when the government argued that it should have a majority share in the OT mine, instead of Rio Tinto. This dispute was only resolved following threats by Rio Tinto to close the mine permanently. The attitude towards foreign-led mining investments further soured with the passage of the 2012 Strategic Entities Foreign Investment Law, which requires parliamentary approval for exploration of mineral deposits by foreign state-supported firms. However, Mongolia may be jeopardizing future economic growth in its desire to reclaim complete ownership of its copper, gold, and coal deposits. A key reason behind the rise of resource nationalism is worries regarding the ability of the mining industry to continue providing massive revenue. 90% of Mongolia’s exports are to neighboring China, and as the growth rate of China continues to decline, it is uncertain if mining will allow for sustainable growth in the long run. Volatility in international mineral prices is also a critical issue, as evidenced by how the price of copper fell from $8000 per ton to $2500 per ton in 2008 alone. As a result of this decline, the Mongolian government ran a fiscal deficit of 4.9% in 2008, after receiving a surplus of 3% the year before. To counter this volatility, the Mongolian government can focus on diversifying the mineral industry in the short term to cushion the economy from price fluctuations. After Australia, Mongolia is believed to have the second largest deposit of uranium in the world, yet there currently is no mining of uranium in the country. Additionally, only 27% of Mongolia has been surveyed for mineral deposits, and it is widely believed that Mongolia may also have vast deposits of tin, tungsten, fluorspar, and molybdenum – an element used to make high-grade steel alloys. Mongolia currently does not possess the capital to finance the exploration and extraction of these other mineral deposits, so it must court foreign mining firms through reasonable yet alluring agreements for the development of these natural resources. If Mongolia is successfully able to diversify its mining industry, achieving inclusive economic growth must be one of the national government’s utmost priorities to ensure the welfare of the Mongolian population. Inclusive growth, if properly managed, can alleviate unemployment, extreme poverty, and income inequality, which are all critical issues plaguing Mongolia today. According to a 2012 analysis of Mongolia by the Brookings Institute, the one trillion USD worth in mineral resources on Mongolian soil works out to $333,333 per every man, woman, and child in the nation, yet this wealth has not trickled throughout society. Although per capita GDP has risen to $2,200 in 2010 from $638 in 2004, 27.4% of the Mongolian population still lived below the $1.25-a-day extreme poverty level in 2012. With rural poverty as high as 35.3% in 2012, a significant proportion of the population is forced to make impossible decisions that it should not have to, such as whether to send their children to school instead of having them work at home, or whether to purchase medicine or dinner. 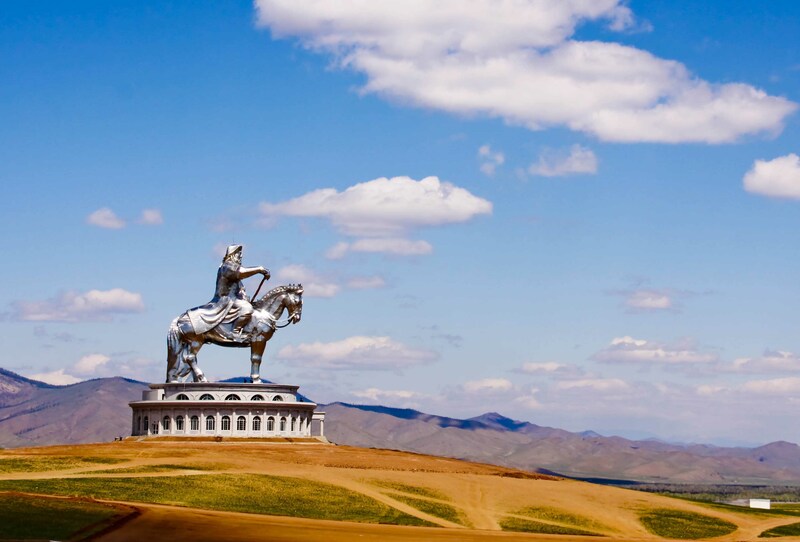 Shortsighted politics, poor fiscal management, and endemic corruption, however, are significant hurdles that the Mongolian government has not been able to fully overcome to allow all Mongolians to benefit from the mining boom. For example, although the Mongolian government developed a human development fund from mining revenue to support welfare, healthcare, and education, the fund was entirely dried up in 2012 as a result of the distribution of monthly cash sums to secure votes for the ruling political party. The cash also was not allocated in proportion to each citizen’s monthly income levels, resulting in rich citizens receiving the same amount of money as individuals in extreme poverty, which placed a further burden on the wealth fund. Additionally, corruption throughout the country has been thriving over the past decade, with Transparency International ranking Mongolia 120 out of 183 countries in 2011, on level with Iran and Ethiopia, based off its perception index, where lower rankings reflect widespread corruption. In a national poll held in 2012, 90% of Mongolians believed that politicians were utilizing “special arrangements” with foreign mining corporations over mining rights to increase their own wealth. Fortunately, Mongolia has begun to tackle corruption, most prominently highlighted in the incarceration of a former president, Nambaryn Enkhbayay, on corruption charges. However, much more remains to be done to tackle corruption, which is siphoning off money that could be used to improve the life prospects of thousands of impoverished Mongolians. Thus, a potential long-term solution for Mongolia to achieve sustainable and inclusive economic growth is through focused and collaborative assistance from the international donor community, particularly through the UN and the World Bank. Although Mongolia’s net official developmental assistance (ODA) reached $449 million in 2012, well-planned investments from the international community can continue to be utilized to develop much-needed infrastructure to alleviate extreme rural poverty and assist Mongolia in diversifying its national economy. In particular, ODA should be targeted towards assisting the national government in tackling corruption, which is preventing equitable wealth distribution in the first place. Even though the government may be reticent towards receiving such aid, stringent anti-corruption measures will allow Mongolia to preserve its wealth in the long-term, even after large donors such as the World Bank begin leaving, by preventing fiascos like emptying human development funds to secure votes. With the proper assistance, Mongolia has the potential to improve the lives of its citizens while transitioning towards a sophisticated and balanced national economy. Posted in World and tagged economic growth, GDP, mineral, mining, Mongolia, natural resources, resource curse, Suleman Khan. Bookmark the permalink.